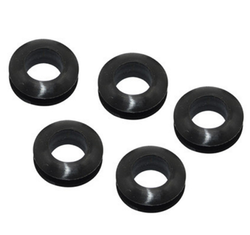 Prominent & Leading Manufacturer from Chennai, we offer rubber metal bonded and rubber bonded parts. We of gemstone fer a wide gamut of Rubber Metal Bonded which are manufactured using high quality cr, nbr and rma compounds. Available in various specifications, these Rubber Metal Bonded can also be customized as per the requirements of clients. Moreover, these bonded parts are used for manufacturing of distributor valve. These find application in automotive and construction industry and are offered at market leading prices. In addition to it, we offer components for Rubber Metal Bonded such as engine mounts, transmission mounts and strut mounts. Our company offers a wide range of Rubber Bonded Parts which consists of various parts such as engine mountings, suspension kits, oil seals and center bearing assemblies. 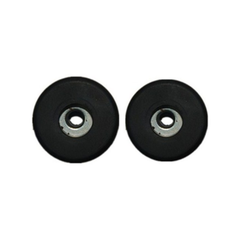 These are manufactured using silicon, neoprene, polyurathene, natural rubber and food grade quality rub. Further these are used in various industries such as automobile and construction. Our Rubber Metal Bonded Parts are available in different diameters, sizes and finishing as per the requirements of clients. Looking for Rubber and Metal Bonded ?